Just finished the PTO Campaign on Friday. Here is my entry for this campaign and a photo of the base work I did on the Grand Phoenix cockpit yesterday and today. Bill, great looking interiors, nicely weathered. I have a Challenger 2 to enter, if I can manage. 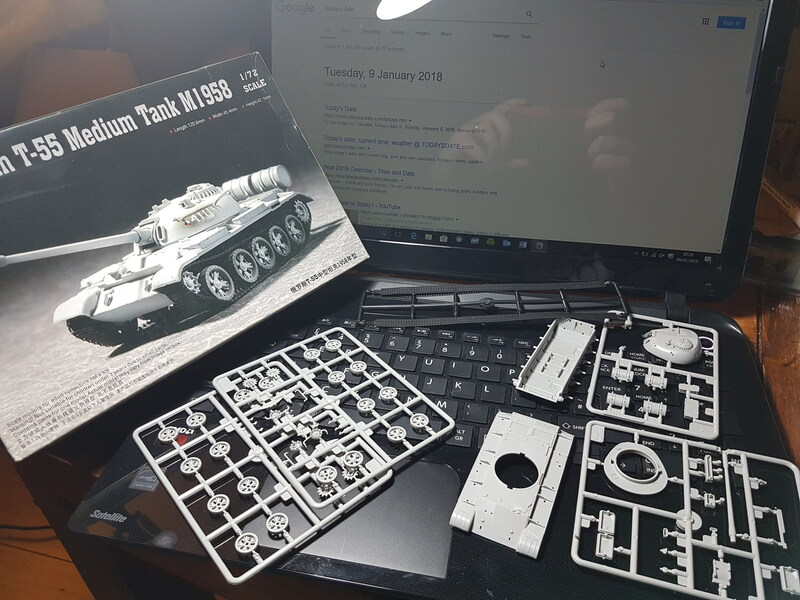 I will be adding some am parts. I have assembled a few etch bits, if that's acceptable.? Chuck-following with interest,I have the same kit in my stash. 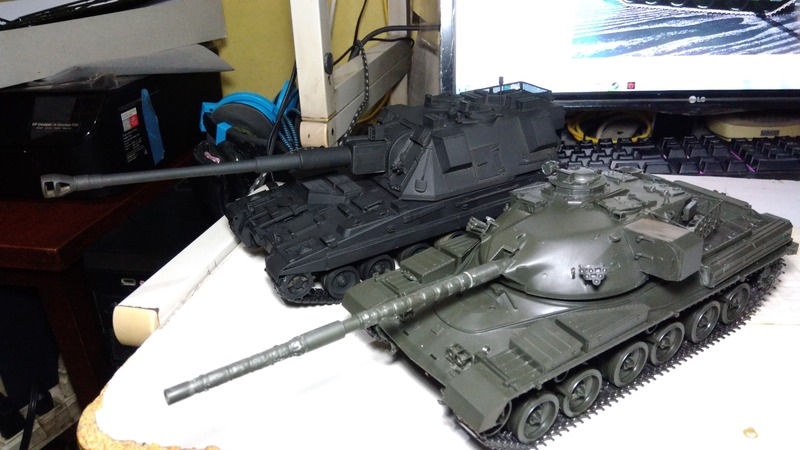 Jerry-I follow your T-64 build with joy and awe(I'm frightened by the count of all these reactive armor blocks in kits of Soviet armor).Try also the gun I am building- it will not disappoint you. Ernest-your big scale Wildcat is more than welcomed to the Campaign. Matthew-looking forward to your Challenger 2. Removed by original poster on 01/10/18 - 12:31:09 (GMT). That gun is exceptional. You know, I may have to buy that kit based on your excellent build. Thanks for posting. My Entry. The New THAAD kit. Ernest, it's wonderful to see a plane entered into the campaign. Angel, you did a fantastic job on the big artillery piece. Anthony, nice to see a braille scale model in the campaign. Good luck achieving the KO'd effect. David, that's a cool looking model. Fighting compartment assembled with fenders attached. This was a chore. 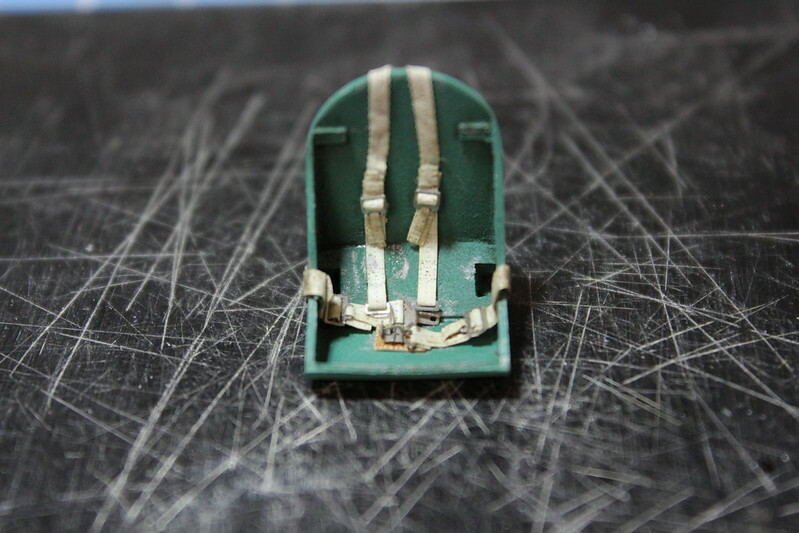 The instructions had the fenders reversed, and they required modification to fit to the hull. Assembly problems continue. 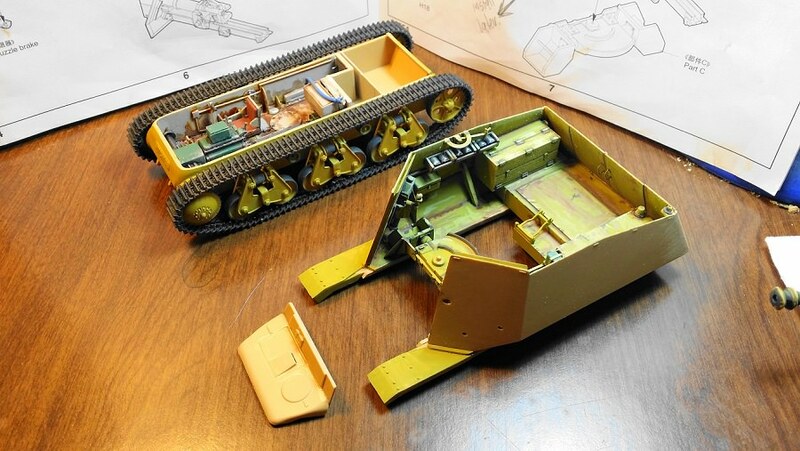 The front hull piece needed copious amounts of putty to mate up with the lower hull. Even with the mounting issues, I'm still enjoying this build. I'm a total newbie here, but Iwould looooove for this to be my first participating build here! Angel, Mark and Bill, thanks a lot! Especially on the turret, which I'm working on now, attaching the array of reactive armor at the correct angle is...interesting, shall we say. I'll post some pics soon. 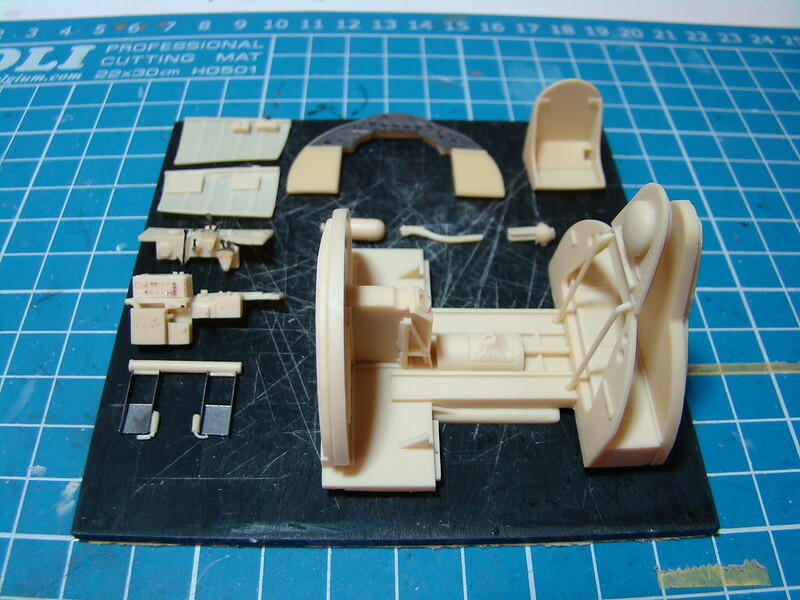 Bruce, welcome aboard (if an armor modeler is allowed to use a naval expression ) - what kit are you planning to build? Ernest, welcome also - good to see aircraft in the campaign. Good work on the cockpit so far. Angel, your KS-19 looks awesome! Are you going to weather it further? 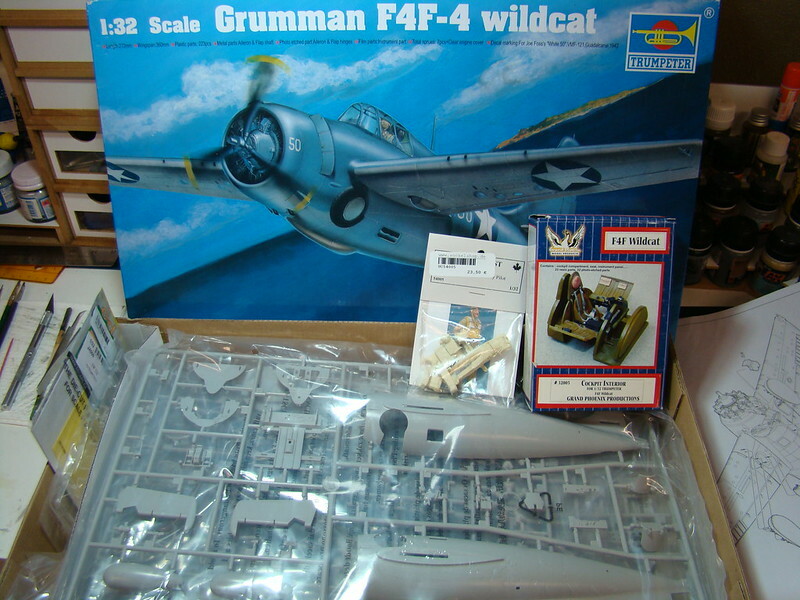 I was thinking of building it for the upcoming anti-aircraft campaign, but another kit from the stash is calling - your build has inspired me to do it as well if there's still time by November, though. Anthony, good to see your scale represented like Bill said. I'm looking forward to your KO effects. 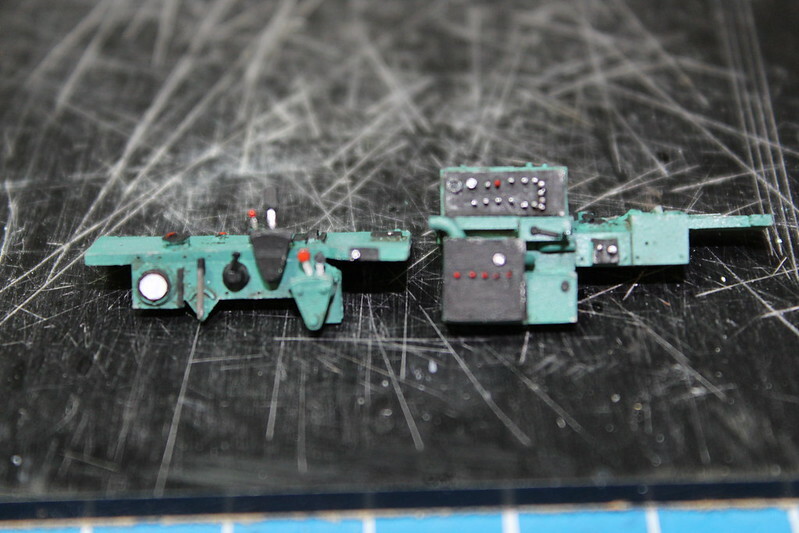 And Bill, the great work continues on your Marder - the interior details and weathering look excellent. Sorry to hear that the build is such a bear but it's very cool you're still enjoying it. Progression my kit after a few days. The storage basket at The top of the turret was a nightmare. Really dislike working with mesh and the plastic parts themselves did not line up good. Probably the most frustrating part of this kit. Still good overall. 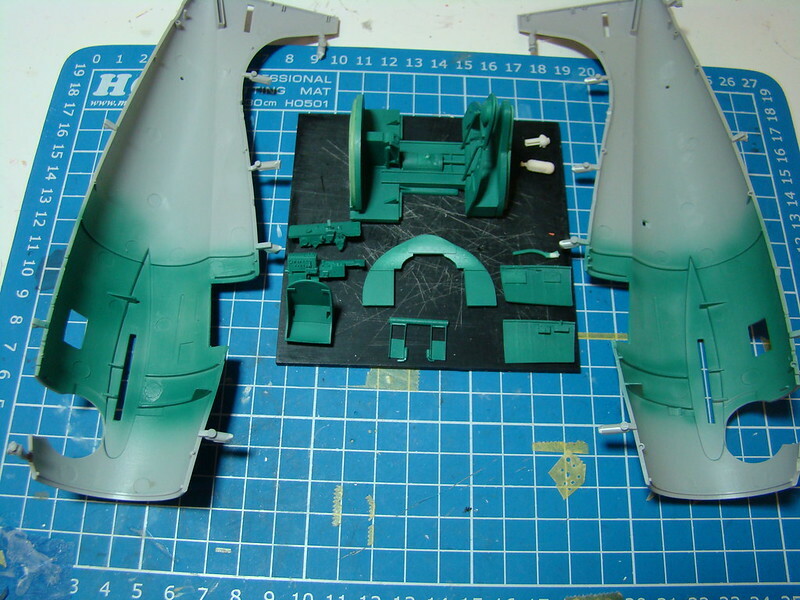 Have also primed the kit to check for seam lines. 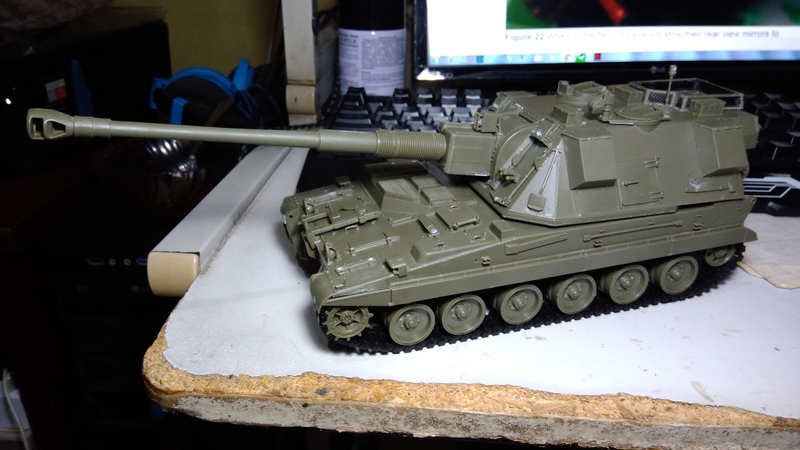 Here it is beside a Chieftain I am building for the British brigade. I have a second entry to help ensure I complete this campaign. 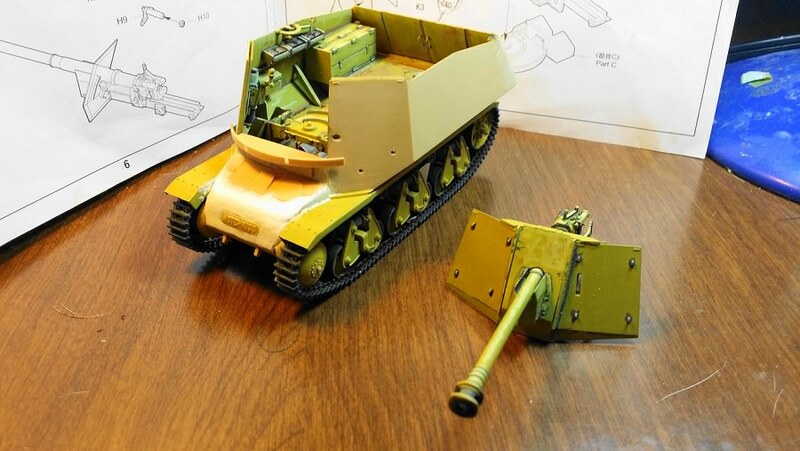 It is an sd.kfz.7 built oob. I will get a picture of both kits, up soon. Nice progress. 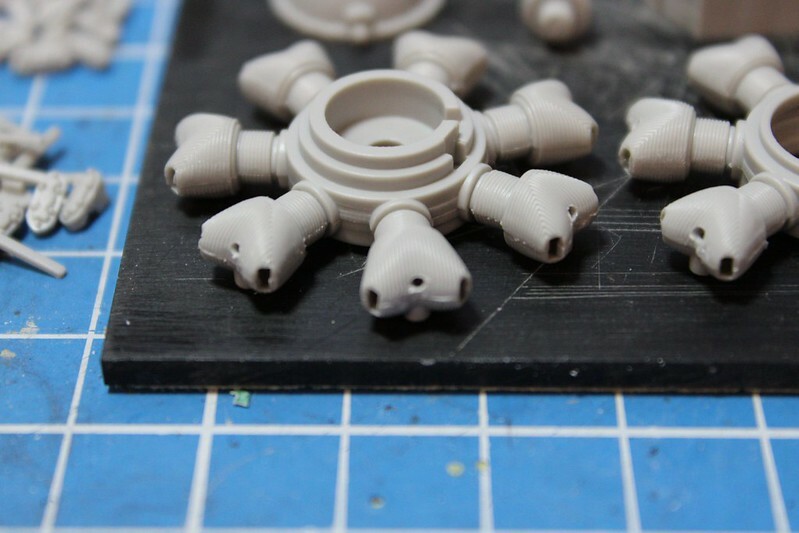 That is going to be on large model by the looks of the frame assembly. Anthony, that should be a neat project for your build. 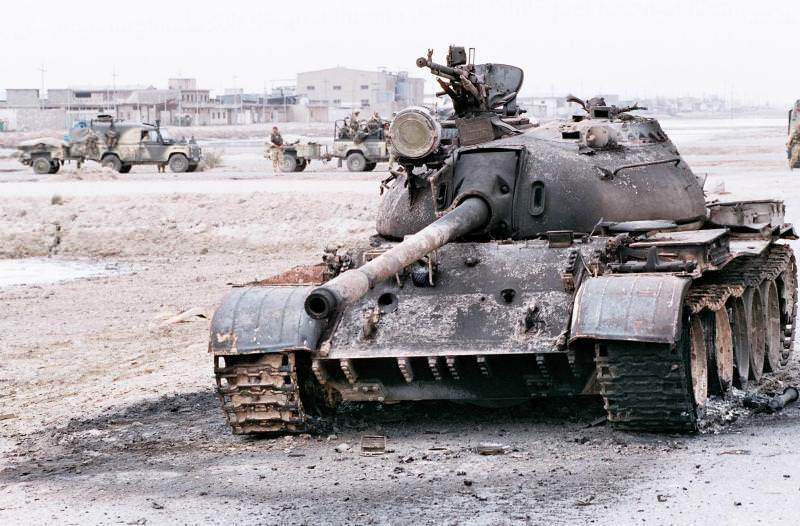 I have some photos of some knocked out armor that I took in Iraq and Afghanistan that look a lot like the picture you posted. Looking at all the nice armor and gun builds make me want to dig out one of my Dragon kits and get to work. I just might do that after I finish the F4F-4. 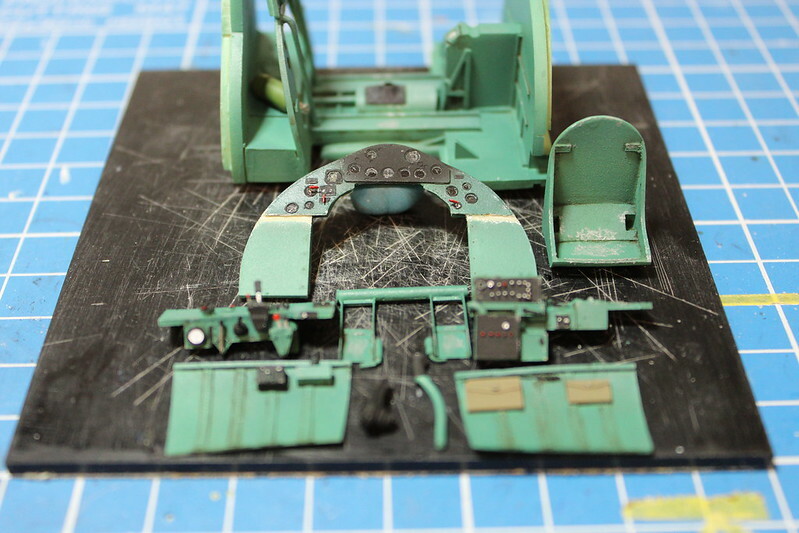 Here are some photos of the AM cockpit that I got for the kit. Like most AM cockpit sets it looks like it will a bit fiddly to install when the time comes. Base Painting of the Bronze Green Complete. 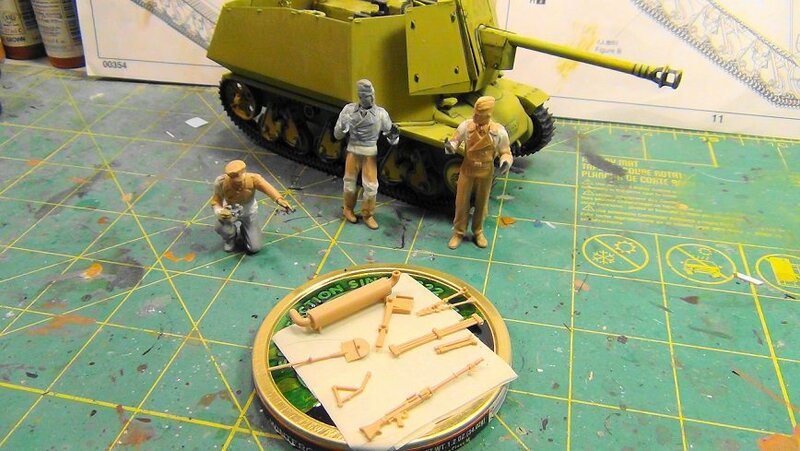 The Pak 40 is installed into the fighting compartment. No issues here. Started work on some crew figures. Two figures came with the kit. The third I cobbled together from my spares bin. All figures required some conversion to attain the poses I wanted. 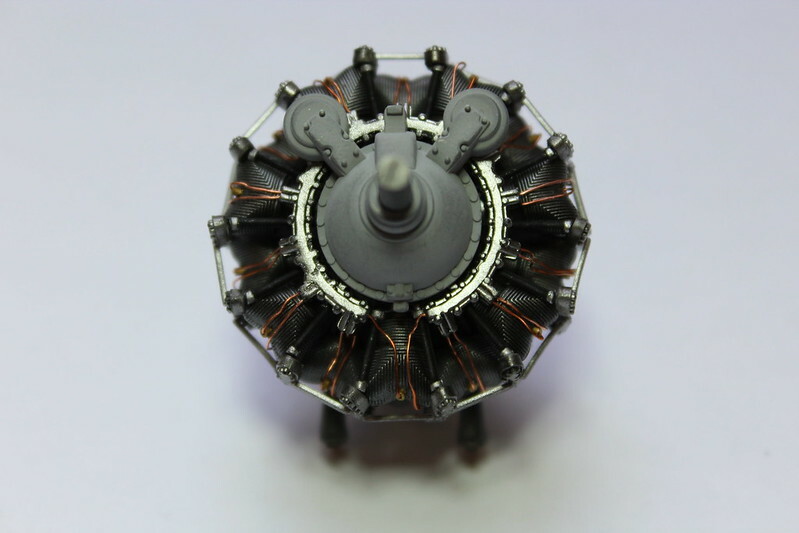 Also shown are the few remaining kit parts to be attached. 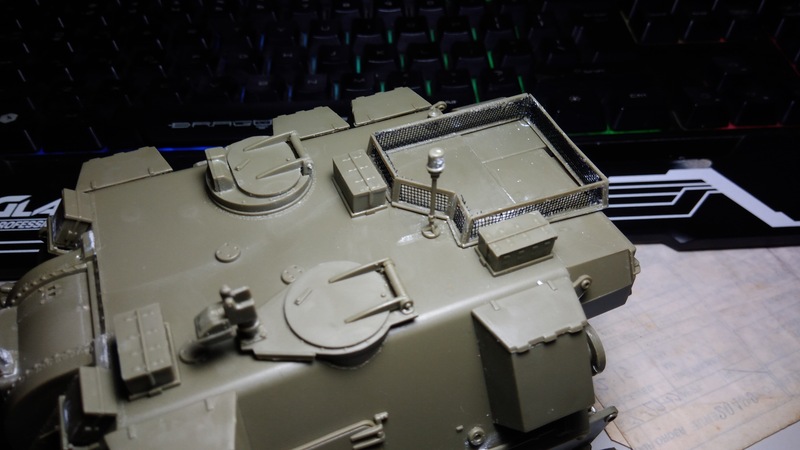 William, very nice work on the Marder, the interior weathering looks very good. 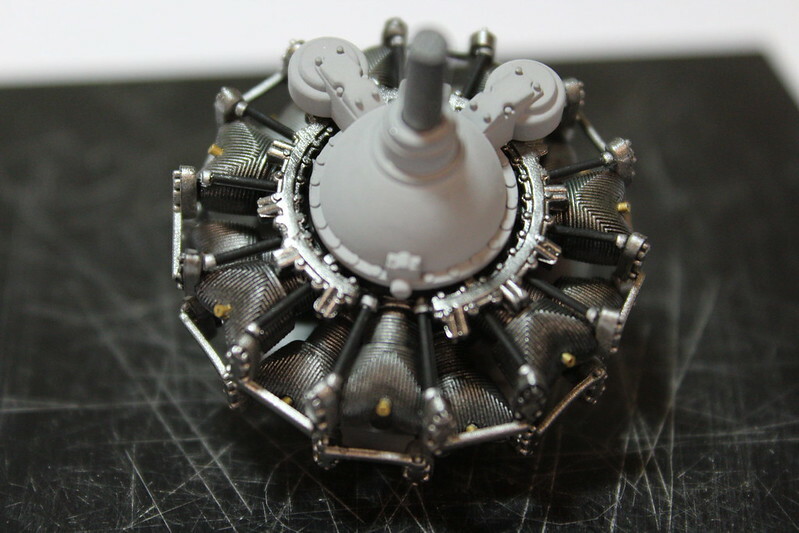 Here are a few shots of the P&W R1830 Engine for the Wildcat. I drilled out cylinder heads and added a spark plug made from wire sheathing, the wiring harness and added copper wire to simulate the ignition lines. 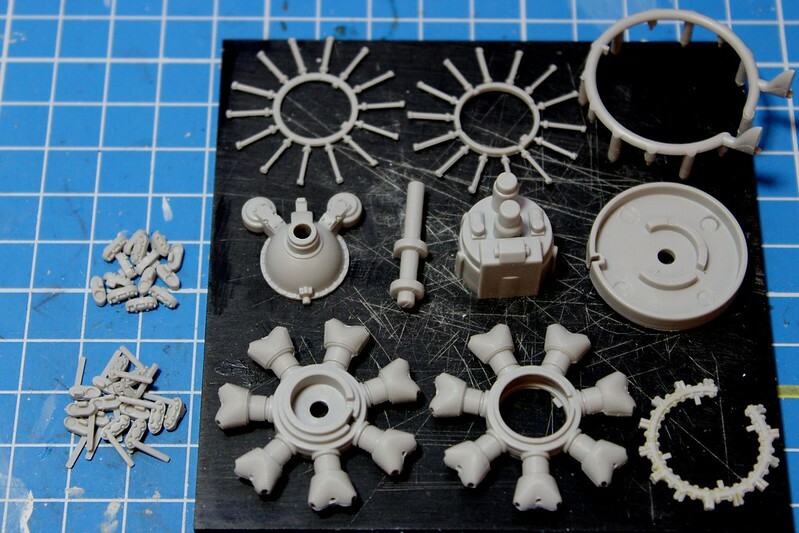 Parts, a lot for a kit engine, ready for priming. Drilled out cylinder heads ready for clean up. Gotta love that K-19. Thanks for posting that. Fantastic construction work. Very professional. 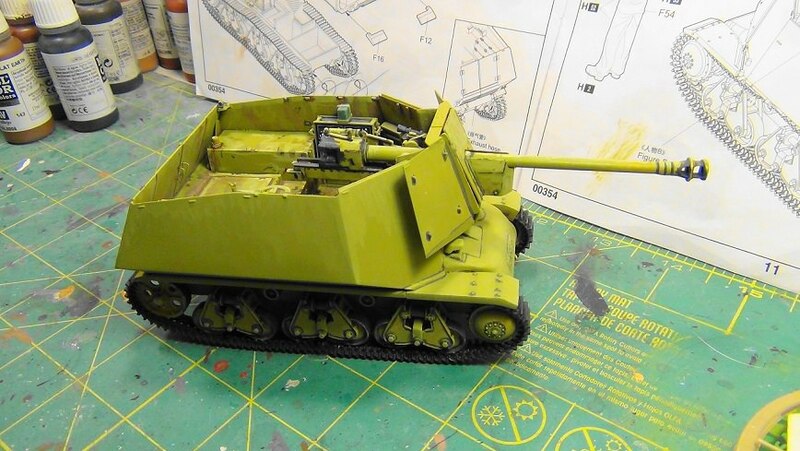 Great work on the Marder I. Yes love that that motley crew you've got there.